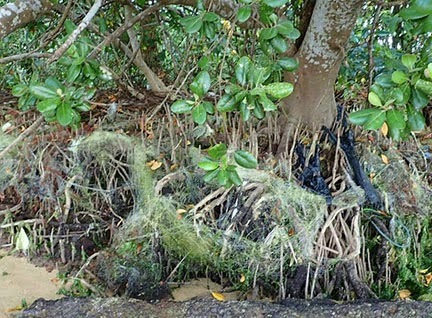 Mangrove tree roots not only stabilise the tree but also allows them to store air and to breathe when they are submerged in water. 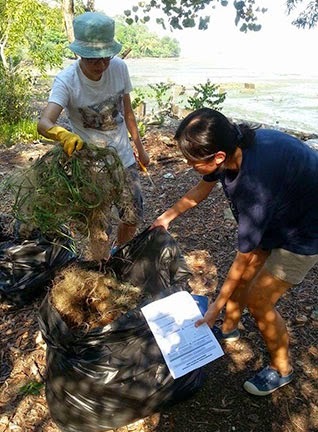 In Feb 2015, Lisa Lim and her team of volunteers conducted a trial cleanup at the site. 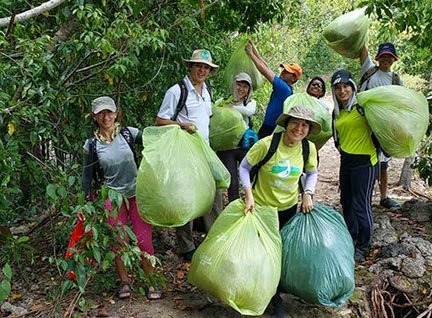 She shares: "Spent an awesome and fruitful morning at Ubin! 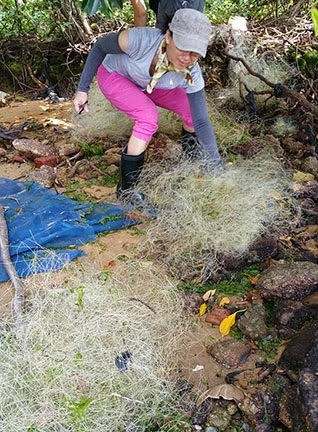 Gathered a small group of 9 mighty and passionate volunteers (including myself ) and we spent a morning removing drift nets found on a quiet shore." 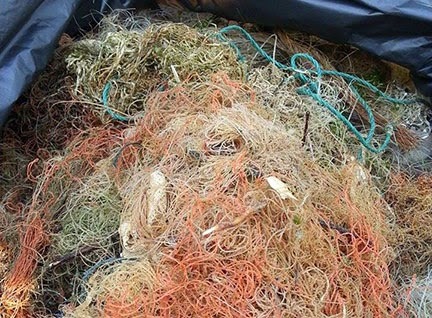 "Armed with shears, scissors and cutters, we snipped here and cut there....and collected 51 kg of abandoned drift nets!" 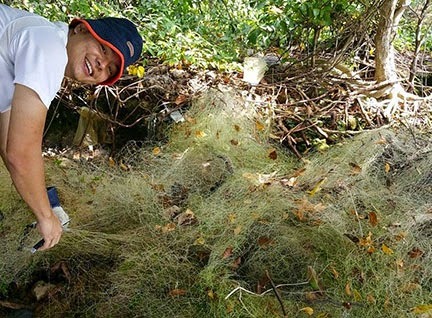 Here's the Tiny but Mighty Team with the nets they had removed. 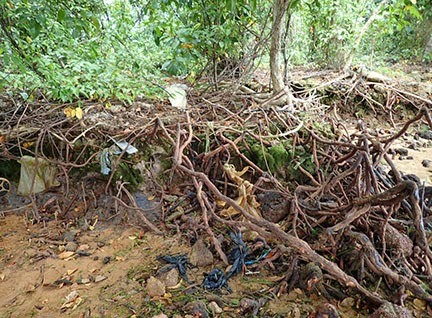 Finally, the tree roots are free of nets! 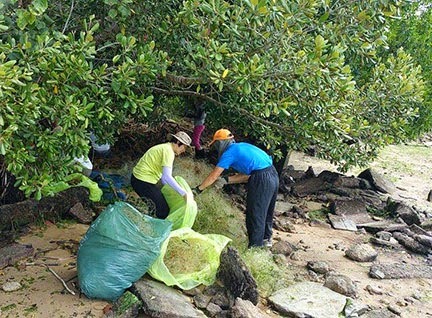 In Apr 2015, Lisa and her team returned with MORE volunteers. 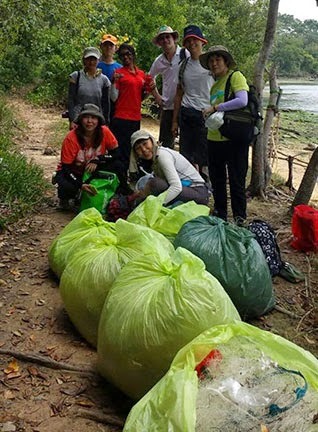 She shares: "we collected 190.5kg of marine litter!" 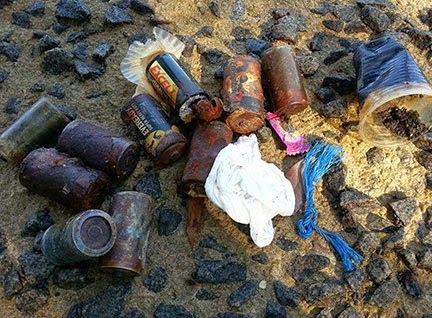 "58kg of those were drift nets." 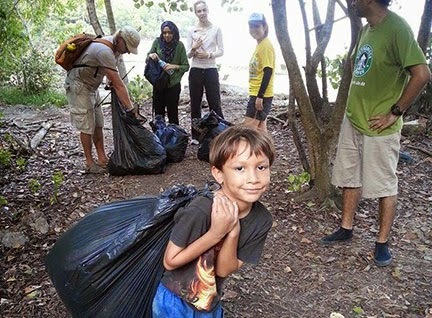 So inspiring to see young ones helping out! 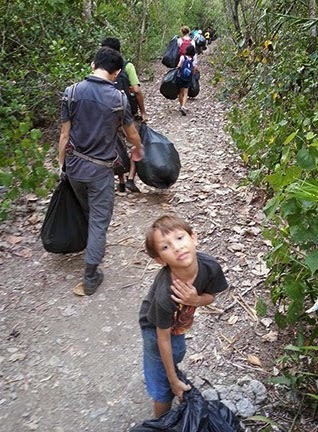 The trash collected is weighed. And all are hauled out to where they can be picked up by a vehicle. 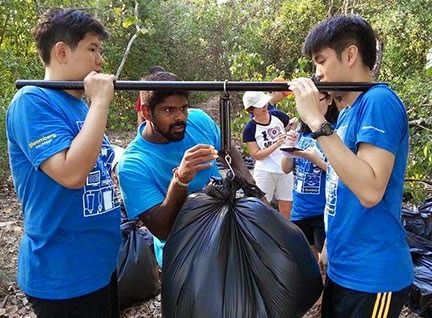 Cleaning up trash is one of the key aspects of helping restore the mangroves at Pulau Ubin. 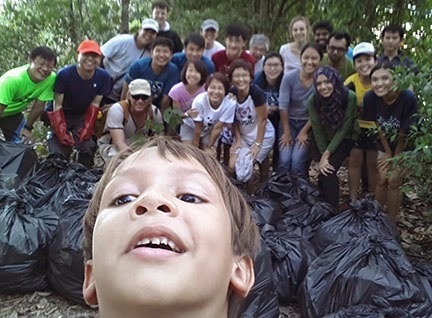 Thank you Lisa, Kerry and all the volunteers from the Marine Conservation Group, Nature Society (Singapore)! 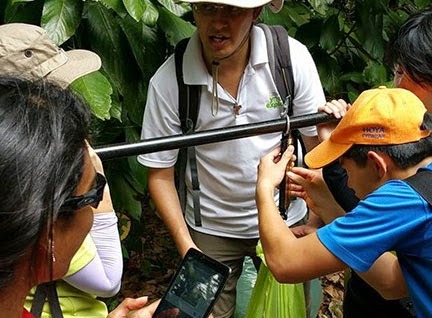 All photos in this blog post provided by Lisa Lim. Thank you!